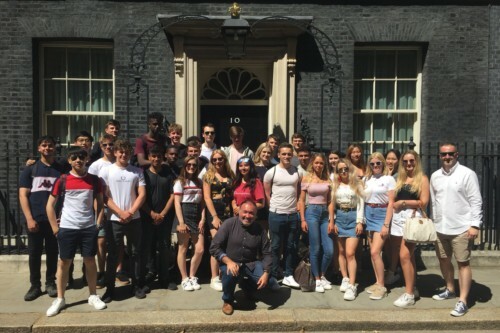 The departments of Economics and Politics took 29 students to London on a typically sunny Monday 2 July. The group began with a tour of the Bank of England along with an exclusive cinema showing of a film on modern monetary policy. After lunch and a walk along Whitehall, we were then fortunate enough to be able to access Downing Street for photo opportunities. The group were treated to an impromptu meeting with the Australian Planning Minister who talked to us with great enthusiasm! Later on we had a tour of both Houses of Parliament, including some time watching live debates from the public gallery. We then had an informative Q & A session with MP for Sheffield Central, Paul Blomfield. After exploring the culinary delights of the City, the group travelled back to Sheffield, having enjoyed a packed and memorable day.